I also painted a companion piece for this painting, called "Southern Wisteria I", and the print and original are both available on etsy. 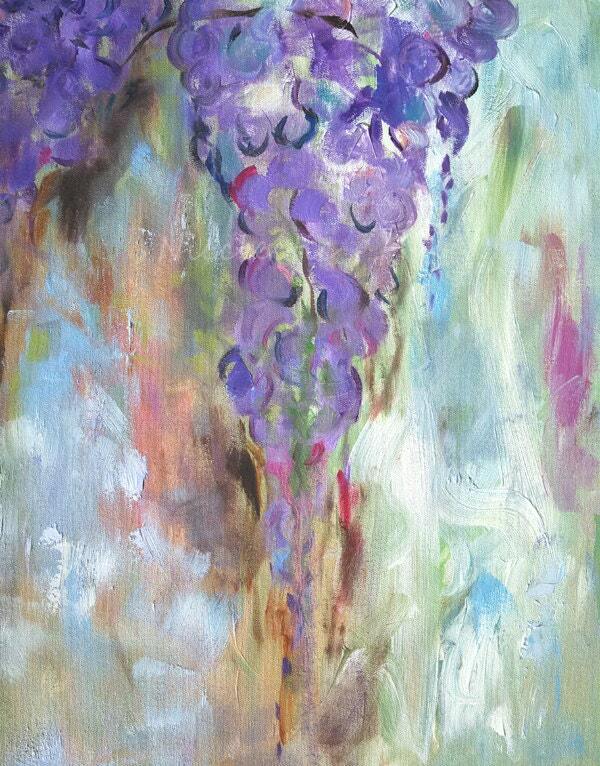 "Southern Wisteria II" is a large art print of an original oil painting of mine. It is printed on heavyweight paper. Image size is approx. 11.2" X 14.2" + a white border for framing. Your print will be signed and sent in a sturdy cardboard mailing tube. This print would fit nicely behind a standard mat/glass/frame combo found at local craft stores. Note: colors may vary slightly from what you see on your screen versus the printed product due to variations in screen brightness, etc.